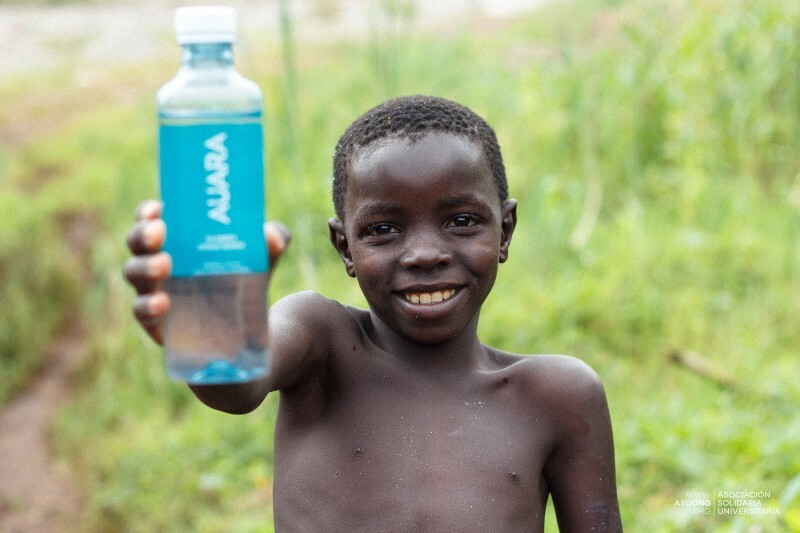 AUARA, five letters that sound transparent and crystalline, give name to the first social enterprise in Spain which invests 100% of the dividends generated in social projects to provide clean water to people in need through sales of natural mineral water. We seek to turn the everyday act of drinking water into an extraordinary act – to bring clean drinking water to those who have no access to it. To achieve this, we sell premium branded mineral water and invest 100% of distributable profits in projects providing access to clean drinking water to those in need across the world. 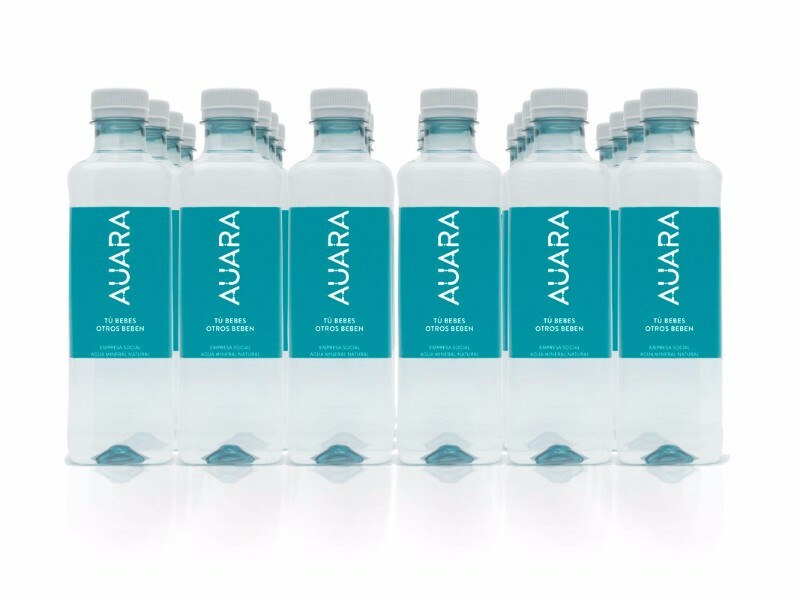 AUARA is the first water brand in Europe and one of the pioneers worldwide to produce its bottles using a 100% recycled PET (rPET). Our mission as a social enterprise is to help get access to drinking water to the poorest communities in developing countries. We also try to make FMCG products more sustainable through recycling, and try to encourage consumers to be more conscious when choosing products they buy, fostering social and environmental values. We have launched the first mineral water brand in Europe produced with 100% recycled material, investing 100% of profits in water access projects in the most disadvantages communities. We measure our impact through different social and environmental metrics (people helped, litres of water given, kg of plastic recycled, etc.). We publish this data on our website and social media. We also publish an information file of every project we develop. For example, once a year, we send our clients an annual report that contains their own positive impact through Auara. Direct beneficiaries of our projects: 16.000 in 13 countries. We have allowed consumers in Spain to turn a daily action, such as drinking water, into an extraordinary action. Not only they are helping support social projects not just by changing their water brand, but they are also buying products that are produced with 100% recycled material. We have worked with big corporations (such as BBVA, Iberdrola, Deloitte) to turn their daily water consumption into something positive. We have also introduced our ethical products in supermarket chains, communicating the positive impact through different trade marketing actions. In Boloso Sore, Ethiopia, we built a well and 90 latrines in a community that formerly was drinking contaminated water, fetching it far away from their homes, and doing their needs on the outside. 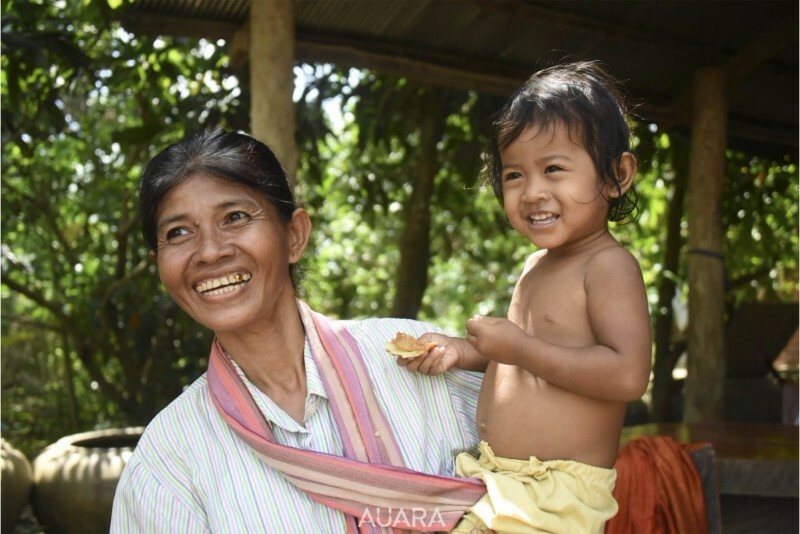 In Cambodia we have built 5 wells in schools of remote towns, so that children have clean water at the school and can bring it home, avoiding getting sick and minimizing schools absentism. In Atupele, Malawi, we have repaired the well of the local hospital, ensuring access to clean water for the patients and for the local workers, avoiding healthcare problems. In our e-commerce service, we work with SEUR Foundation, which helps people with disabilities get a job opportunity. We have manipulated more than one million bottles in a special employment centre, giving jobs to people with different disabilities. We actively participate in different programs (via congresses, universities, events etc) to educate young students in social entrepreneurship and values. Of course, we recycle at the office. We work with a light company (holaluz) that sells 100% renewable energy. All the energy we use in our office is renewable. Since June, we distribute with CalidadPascual, a distributor that has the largest environmentally friendly (electric cars or natural gas trucks) fleet in Europe. We are real about conciliation, giving schedule flexibility. Most of all, we are constantly working to have the happiest working environment, mostly focusing on relationships between our workers, respect and solidarity.